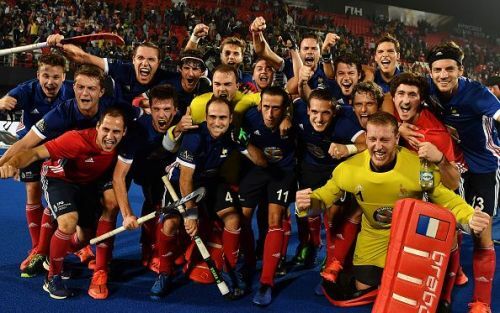 The Red Sticks began their World Cup campaign in style, displaying loads of flair, and gave the Argentinians a run for their money in their opener but failed to earn a single point for all their efforts. Sixteen circle entries, eleven shots on target, and seven PCs, against the French, ought to have produced more than just one late equalizer, and when Fred Soyez's team look back, they will rue the fact that it was their poor finishing against the lowest-ranked side at Bhubaneswar which ultimately led to their calamitous exit. Spain had a chance to redeem themselves and seemed to be on track when they went into the long breather with a comfortable two-goal lead against New Zealand - but, like in their opener, surrendered the initiative and the lead, leaving their fate in the hands of neighbours France after splitting points with the Black Sticks. Even so, the Spanish would have more than fancied their chances of making it to the crossovers with the knowledge that Jeroen Delmee's boys had to beat Olympic champions Argentina - or at the very least, earn a high-scoring draw with a scoreline that read 5-5 or higher. Yet, in true fairy-tale style, the French scored four quick goals in the second quarter and a late fifth goal which ensured that Les Bleus will now march ahead, while the Odisha World Cup will see no more of either Enrique Gonzalez's brilliance or Xavi Lleonart's spectacular solo runs. The French have not just made it to the crossovers - incredibly enough, they finish second, ahead of New Zealand and tonight's Pool B matches will determine whether they run into England, Ireland, or China in the next round. Let us take a look at 3 factors that may have been significant in determining the ultimate course of this match. Argentina who had employed a front-marking man-to-man defence against the Spanish failed to keep it tight against France which allowed the French to advance at will. The Olympic champions failed to intercept the accurate through-balls and crosses which made their way into the striking circle unabated. Argentina's deep defence was extremely slow to react and the French strikers made their way to the goalmouth largely unchallenged. Hugo Genestet had one chance to find the back of the net before he finally scored the opening goal. Vivaldi pulled off a near-impossible save but the Argentine defence failed to get organized and allowed Genestet to re-enter the circle soon after. The opening goal set the tone for the second quarter and was followed by three more quick goals which the South Americans had no answer to.